It is called the operating room. In past times and in some circles it might be called the operating theater. If you are British, you might call it the operating theatre. 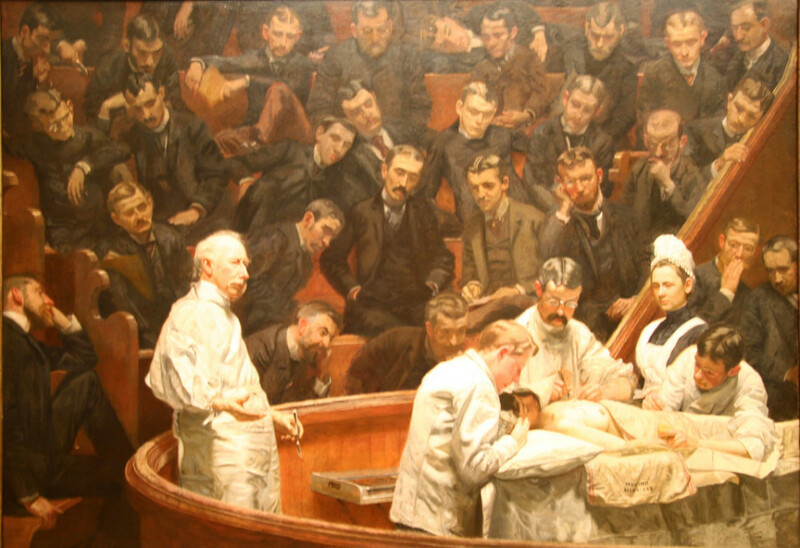 One has visions of the Thomas Eakins painting “The Agnew Clinic” where an operation–interestingly, a partial mastectomy–plays out in an amphitheater- like setting. We don’t know if it’s “in the round.” The seats are occupied by the surgeon’s colleagues and curious students. The painter even managed to put himself in the painting. I wonder where the liability lawyers are sitting. I don’t operate in such a venue. Nor do my colleagues. Never have. There is no large, defined space in the operating room for spectators or a large audience. But the idea of calling the operating room the operating theater is intriguing. 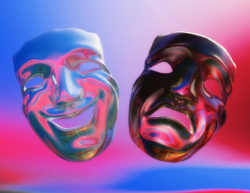 The curtain rises, the lights come on and we see the performers: the surgeon as lead actor and the anesthesiologist, scrub nurse, and surgical assistant in supporting roles. And the surgeon is more than just an actor. He is also the director.. 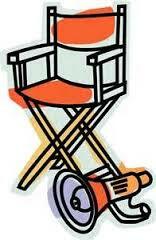 There is a stage manager–the head nurse who organizes and runs the room in proximity to the operating table. Key technicians work behind the scenes to deal with sound, lighting, computers, equipment, and costumes (surgical gowns, headgear, masks, and shoe covers). And there can be high drama in the operating theater, plenty of it. Life and death matters. High wire acts. The plot is simple–the performers and crew work as an ensemble to eradicate disease or correct a condition. There may be tensions and conflicts within the group, but they are quickly resolved. The show must go on. There are plenty of stock characters to fill out the Dramatis Personae: a talented but flawed surgeon, a joking anesthesiologist with a checkered past, a slow moving surgical assistant, a frazzled head nurse. Like actors we wonder if we performed well, if we said our lines correctly. The patient awakes and wants no repeat performances, no long-running shows, no revivals. Like anxious actors, directors, and producers after opening night, we don’t wait for the reviews. Our reviews can’t be written for days, weeks, months, even years. There are no Tony nominations, no newspaper interviews, no awards for Best Leading Surgeon in a Musical or Best Supporting Anesthesiologist in a Play. Maybe these theater, or theatre, analogies don’t work all that well….